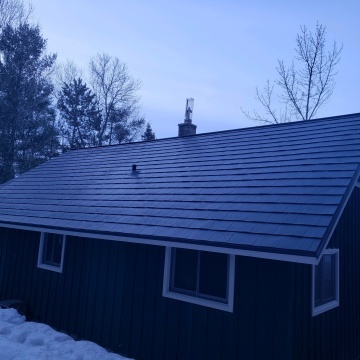 American Metal Roofs of Northern Wisconsin was founded in 2007 by Ray Farmer. AMR is located North of Green Bay in the Village of Suamico, AMR offers a large showroom to view its extensive Metal Roofing product line. 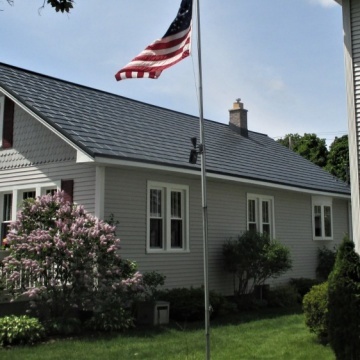 AMR offers products that are manufactured by Classic Metal Roof Systems located in Piqua, Ohio. 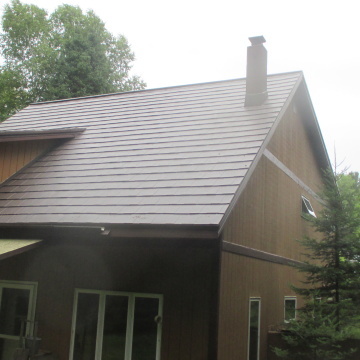 Their premium roofing products offers many colors to choose from and most are energy start rated. With our state-of-the-art manufacturing facility and certified installation crews, you will encounter an experience that separates us from the others. Our manufacturing operations and roofing experts will take the time to fully understand your roofing needs. 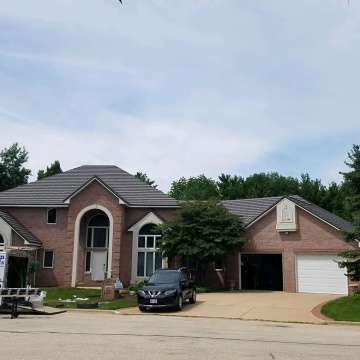 After a comprehensive analysis we will offer recommendations that provide you with roofing solutions that perfectly match your needs and budget. We will work hard to save you both time and money. AMR offers a website and Facebook page to learn more about their products and services. Great pride is taken to ensure each customer experiences the best roofing experience possible. Their office staff is courteous and professional and is willing to answer any questions that you may have. AMR’s office hours can be found on their website. After hour appointments are available. AMR does not outsource any of its projects. (No sub-contractors). Over the years this has proved to be very valuable to our customers. 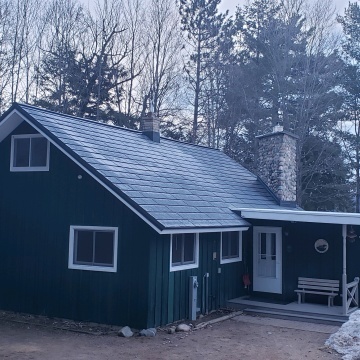 By controlling the quality of the roof installation projects, this has allowed AMR to provide consistent quality with minimal quality concerns. 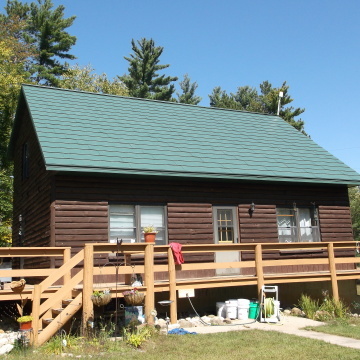 We hired American Metal Roof Inc to install a new roof system on our cottage near Crandon Wi. Our experience with the company could not of been better. Ray Farmer met with us, answered all our question and explained the benefits of the Oxford Shingles we had chosen. 2 weeks later the job started which is when we were put in contact with Scott and his crew. Super nice guy and more then willing to explain every step. The job site was kept clean and the workmanship was second to none. He even took pics of the job in progress, put on a CD and mailed to us. Very Happy with the turn out and would highly recommend this company for your roofing needs. The crew worked extremely quickly. They were quiet and did not leave a mess in our yard. They presented themselves very professionally. American Metal Roofs was easy to work with. Our new roof looks great! The installation crew replaced all the soffit/facia, ran a proper vent through the roof for the upstairs bath fan, reinstalled the cell antenna with a new/better bracket and were finished in a day and a half. All around great experience! 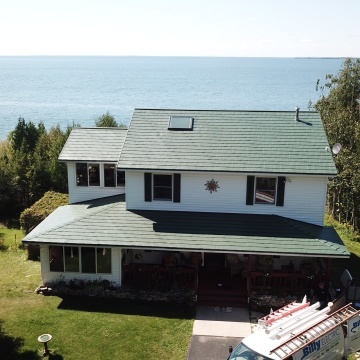 I highly recommend AMR for a beautiful roof and excellent warranty. Matt did a great job of explaining everything. It was nice to learn a little about roofs even though I don't want anything to do with being on one. Matt did a great job explaining everything. The installation crew was very fast and efficient. I was surprised how much was already done by the time I got home from work. They also went above and beyond, installing a proper vent through the roof for the upstairs bathroom. Matt was experienced and professional and had answers to all our questions. Scott and the installation was a no nonsense work crew. They worked through a light rain at times to keep the job going. They thoroughly cleaned the grounds daily and all members were polite and helpful. We were pleased with the product and the results. I was most satisfied with the end product. We were very happy with the crew and how they worked and how they acted on our property. I would like to recognize Scott and his team for their exceptional service. They were very good, professional, and were a pleasure to have here at our house. They were courteous and I am very pleased. Scott, the guy who did the work, was knowledgeable and said the roof was top notch. He told me it would be better to be the new roof over the old. I am completely satisfied with the quality of the job and what they did. I would highly recommend them. They are very professional and professional to work with. They will come highly recommended from me. 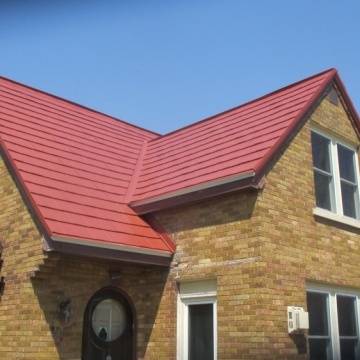 They provide good professional service with high quality roofing products. The roofing crew was professional and did their job well. Ray Farmer was kind and took time to explain any questions we had about metal roofs and how the installation would happen. Your roofing manager, Scott, was courteous and made sure to provide us with the best roof possible. He went through and explained any questions we had about the roof and did a very thorough job in installing the new roof. They were professional. They did a good job and did it quick. I would like to recognize the whole crew for their exceptional service. They were wonderful. Everyone was always working when you walked out and looked. 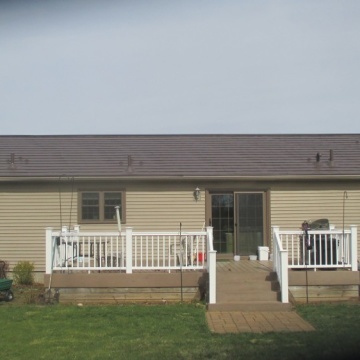 American Metal Roofs did a great job and I am very satisfied overall. I was most satisfied with the finished product and the timeliness. Ray Farmer was a very nice guy, easy to work with, listens to what you want, and then adds his professional opinion to help you make the right decision. 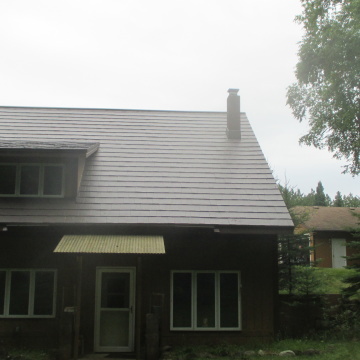 I would have no problem recommending them to anyone that would be interested in a metal roof. I am very happy with the roof and it was worth it! I was most satisfied when they explained what they would be doing and what to expect when they first started installation. Nothing was a surprise and they did everything that they told me. Everything was handled well. I would like to recognize the guy who was in charge of building. He answered all of my questions and made me feel comfortable. 1.Matt's clear explanations on the quality of American roofing and related materials, such as edging. 2.The installation crew did a wonderful clean-up. 2.Scott's installation crew went above and beyond what was expected. I noticed that they even cleared out some old wasp nest material that was wedged in a bathroom vent under the soffit. This was not part of the quote, but deeply appreciated. I am amazed everyday at how much this roof has added to the beauty of our home. The integrity of the metal room also makes me feel better about the over structure...knowing I never have to worry about another roof is very comforting. Our site foreman did a very nice job. His crew cleaned up very neatly each day. After the work was complete you never would have known anyone was there, except when you looked up at the beautiful roof! Consider my review a composite of all the answers to these questions. Thank you for quick installation. 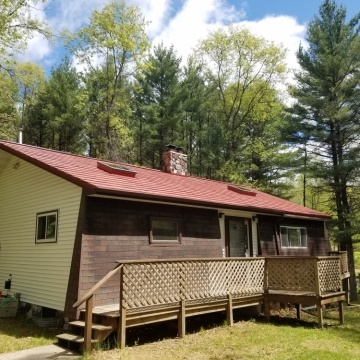 I have received a number of comments from neighbors and friends who have noticed the new roof which passing the house which is right off a major highway (US2). My house insurance salesman called me as his offices is within walking distance and has provided me with an additions savings I will get over the years with the new roof. Thanks again for a job well done. The speed of the installation and the quality of the roofing material. I was satisfied. Everything went really well. They set up a tentative date to start the job. They finished another job so they got to start on mine a day early. They got it done in a timely manner. Everything was good. Everybody was great. Everyone I was in contact with, from Matt who sold it to me, to Tricia who communicated with me, to Scott who was the installation foreman, was great. I was most satisfied with the speed of getting it scheduled and done so quickly. Start to finish. Everyone was professional/courteous. The roof looks great. They did a very good job. They are very professional and it looks beautiful! I was most satisfied that they all worked together very well. They knew what they had to do and were very professional. Their team was very good and did a good job! Scott was the head of the team. His workers were all very well informed with what they had to do and they did it. I am so happy with their work, the guys, and everything they did for me. I love my roof! I would recommend them to everybody. They were excellent. The whole thing was excellent! I was most satisfied with all of it - everything. I love the look of it. It looks like a shingles roof and that's nicer. I'm more than satisfied. 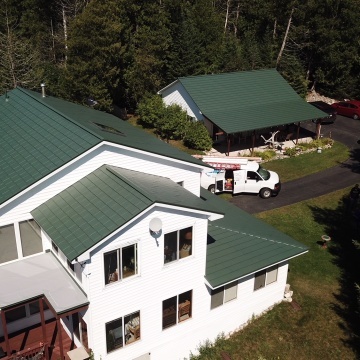 American Metal Roofs of Northern Wisconsin puts great effort and pride into their work. The product is beautiful, Scott and his crew were delightful and professional. A wonderful experience from start to finish. Thank you all! We would like to recognize everyone we worked with there....Ray, Trista, Anna, Scott. All were very professional, friendly and easy to work with.